Play cards, build your deck to get the best combos! 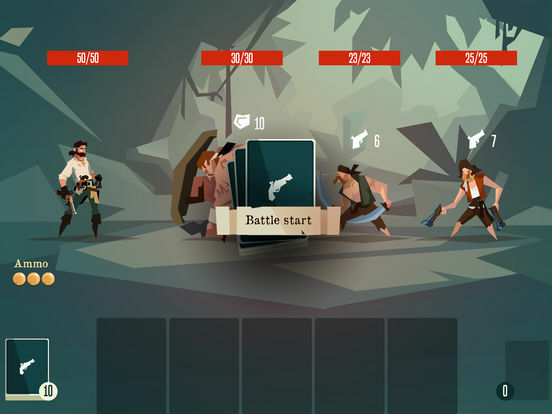 In Pirates Outlaws pick a character with a pre-made deck. 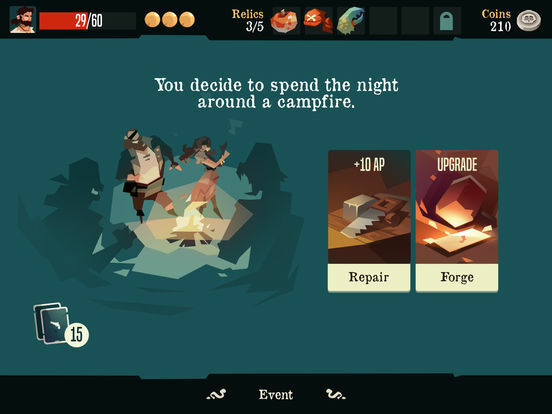 Explore and manage your expedition to get more gold and reputation. 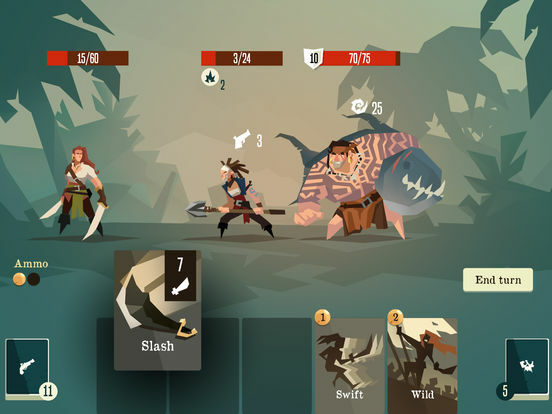 Manage your deck and ammo to defeat enemies strategy, in a turn per turn combat system. The path to become a wealthy and respected Pirate will not be easy! 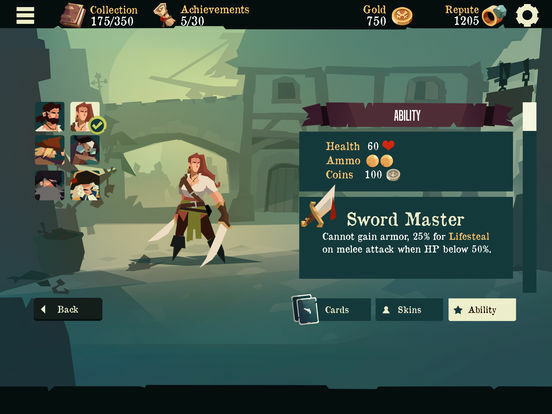 Pirates Outlaws is a solid enough roguelike card battler that just doesn't do enough to compete with competitors like Night of the Full Moon and Slay the Spire. 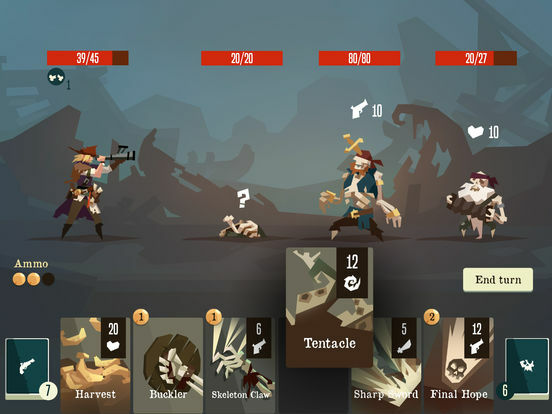 In conclusion, Pirates Outlaws isn’t quite up to the games it looked up to, like Slay the Spire or Night of the Full Moon, but it is still a good roguelike card game on its own. Also, it costs only a dollar to pick up, which might cause many players to give it a chance despite the relative roughness of the final product. 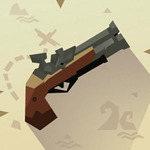 But I can only recommend Pirates Outlaws if you really want to pour a lot of time into it. It’s wickedly unbalanced both in combat and economically, and only the strong willed can survive to see it plunder. The learning curve is relatively low, but moments of true progress seem to only come so few and far between. Caving in and spending more money on the game just to speed up that process is just salty icing on a sour cake.